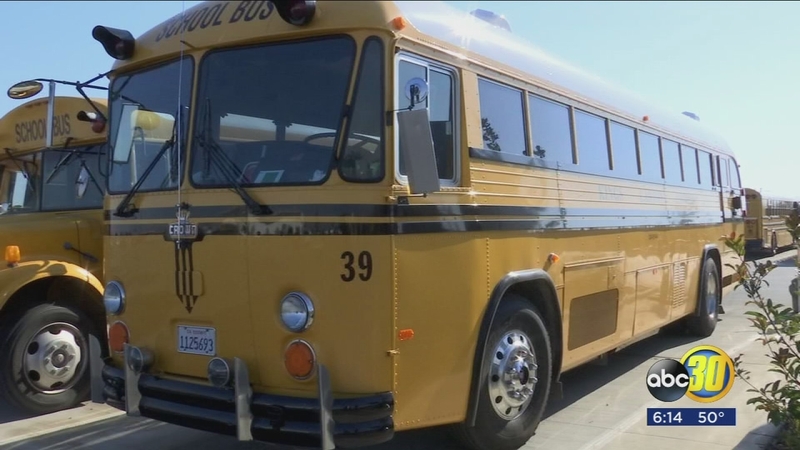 All the flood-damaged roads have forced the Mariposa County School District to make some changes to school bus routes and schedules. Changes: AM - Bus will depart LDPE and use Granite Springs Rd. to bypass washout. All bus stop times will remain the same. PM - Bus will return to LDPE via Granite Springs Rd. No stop times will be effected. Changes: AM - Bus will use Granite Springs Rd. to bypass washout. Times will remain the same unless further advised. Changes: AM - A bus will pick up students at the Greeley Hill True Value at 5:25 AM and will continue to Coulterville park with a pick up time of 5:40 AM. The bus will continue to Hwy. 132 and Piney Creek Rd. to transfer with the bus that goes to MCHS. PM - A bus will meet the LDP bus at Piney Creek Rd. and bring students to Coulterville Park and Greeley Hill True Value. Coulterville park stop time will be at 5:00 PM and Greeley Hill True Value at 5:20 PM. Route 3 stops along Bear Valley Rd. and Hwy. 49N south of Bear Valley will be moved to Route 4 with no change in bus stop times. Changes: AM - Bus will arrive at the first stop (Piney Creek) at the regularly scheduled time. The bus will take a different route after the town of Hornitos to the high school which will be on Bear Valley Rd. to Hwy. 49 N. For stops along Hornitos Rd. in Catheys Valley, see Route 9. Route 5 - High School Transfer / Indian Peak Rd. Reason: Bridge Closure on Indian Peak @ Hirsch Rd. Changes: The bus route will be the same as it was last year when the bridge was out. Indian Peak to Oak Grove Rd., turn around, back to Hwy. 49 S to Woodland School. After transfer, drop off on Hirsch Rd. Any Woodland students going to Hirsch Rd. must ride bus into town and then back out to Woodland and dropped off with High School students. Route 9 - Catheys Valley / Yaqui Gulch / Old Hwy. Changes: AM - The Owens Creek Bridge on School House Rd. has been repaired. However, Yaqui Gulch Rd. is now closed from Prairie Ln. to Live Oak Rd. The bus will depart Mariposa 10 minutes earlier than normally scheduled. The bus will stop at it's normal stops in Catheys Valley 10 minutes earlier than normal (See Route Listing Below). An additional stop will be added at McKay Hall at 6:30 A.M. The bus will return to town and then go down Old Hwy. to Yaqui Gulch. The only bus stop for Yaqui Gulch Rd. will be at the intersection of Old Hwy. and Yaqui Gulch. That bus stop time will be 6:55 A.M.
Changes: PM - Route 9 will drop off along Ben Hur Rd. then take Buckeye Rd. to Old Hwy. Bus stop at Old Hwy. & Yaqui Gulch Rd. will be at 3:35 PM. The bus will then take Old Hwy. back to Hwy. 49. It will then go down Hwy. 140 to Catheys Valley. Students that normally ride Route 4 to the Oasis and along Hornitos Rd. need to use Route 9. A stop was added at the Oasis on Route 9 with a stop time of 4:10 PM. Changes: AM - The bus route will be the same as it was last year when the bridge was out. Indian Peak to Oak Grove Rd., turn around, back to Hwy. 49s to Woodland School. Students on Hirsch Rd. will need to use Woodland School as bus stop. Departure time from Woodland is 7:25 A.M. if they are going into town. Changes: PM - The bus route will be the same as it was last year when the bridge was out. Indian Peak to Oak Grove Rd., turn around, back to Hwy. 49S and continue route. Hirsch Rd. students will use Route 5. Changes: Only bus stop will be at Lake Don Pedro Market at regularly scheduled time.